This is a Step by Step guide, that will get you up to speed with Panaya's API methodology and functionality. 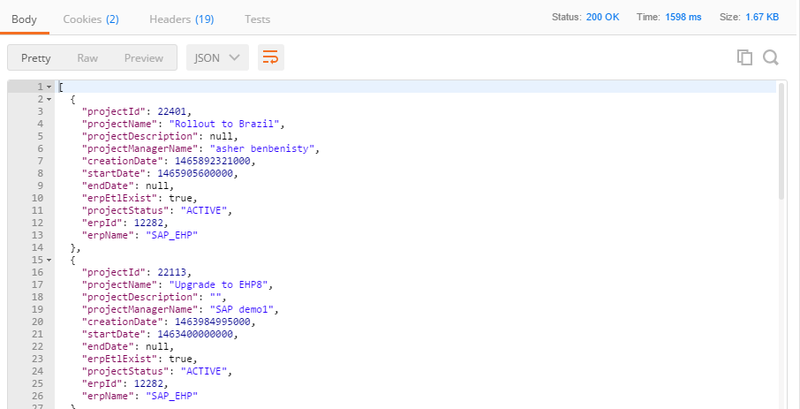 Use our API integration capabilities to develop seamless connectivity in any programming language. 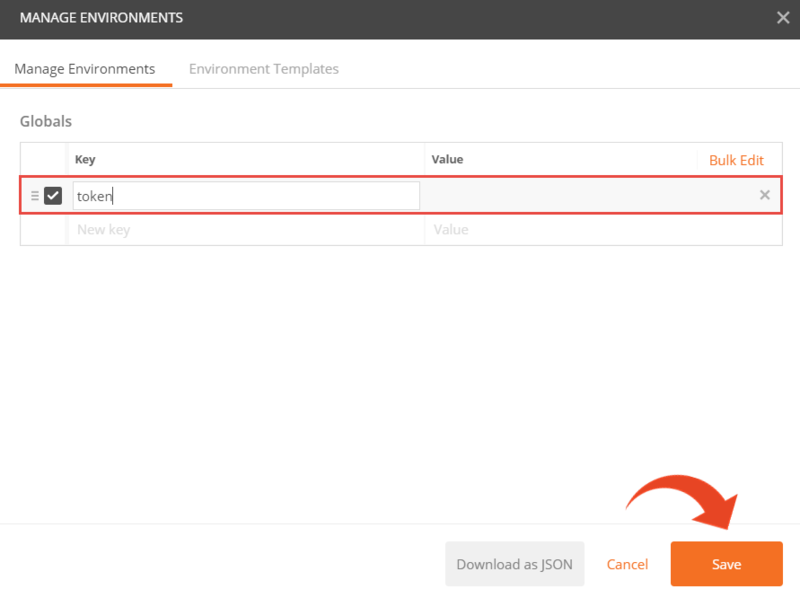 Take a look at the examples in this guide to learn how to retrieve your session token and perform API functions. It is highly recommended to follow this guide and get familiar with the various functions available, before initiating the process of developing your current tool extensions to Panaya. What are the API call limits? We recommend using Postman as a tool for running the API connection. While there are many other tools available that will work for this purpose, in this guide we will be demonstrating the use of Postman. Let's begin by retrieving the project details. 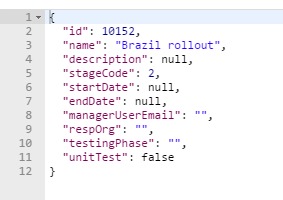 For the Tests tab - add the following lines in order to reuse the token variable. This should be added for any new API call created. 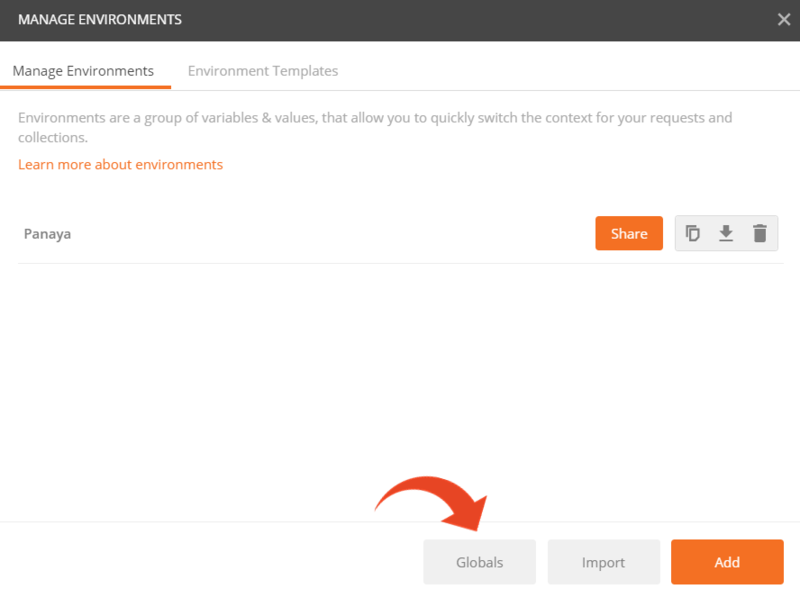 You should then receive all project metadata as a response. Before we attempt to collect/change test metadata and details, we will need to address the parent Cycle. Select one of your projects and use the corresponding projectID to retrieve all associated Cycles. For example, the following URL will retrieve all Cycles with their correspondence ID and Name for this project. 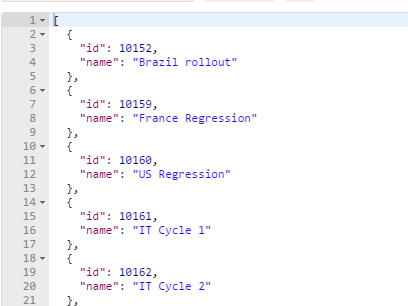 Use the API to get the details on a specific cycle. To create a new cycle, use POST (instead of PUT). Use the same logic as described above and go through the various API functions described in Panaya API documentation. If the given new Cycle Name already exists for this project, a new cycle will be created as [existing_name] (1).